I do not know if I already told you but Roquefort is my favourite cheese for ever. This was one of the only cheese I could eat as a child. The other ones weren’t strong enough. I do agree that I had strange food taste at that time. I was maybe ten years old the first time I tried Roquefort omelet. I do not remember so well that evening. But I do remember that we went with my mother in a restaurant not so far from our place. At first I was mumbling because I couldn’t find anything I liked. As usual after 5 minutes I had not only one dish I wanted to try but two. So after moaning about the menu, I was hesitating between two different dishes much to the dismay of my mother looking at me. 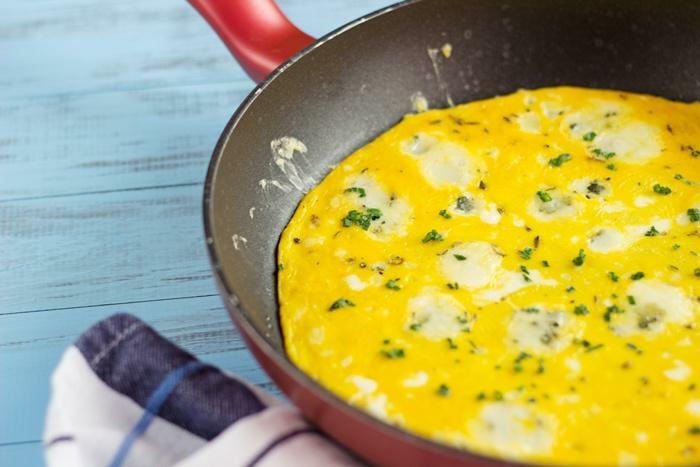 Hopefully I chosed the Roquefort omelet and I loved it so much that I try to make up the recipe. This is probably not the same recipe; but it is really tasty too. 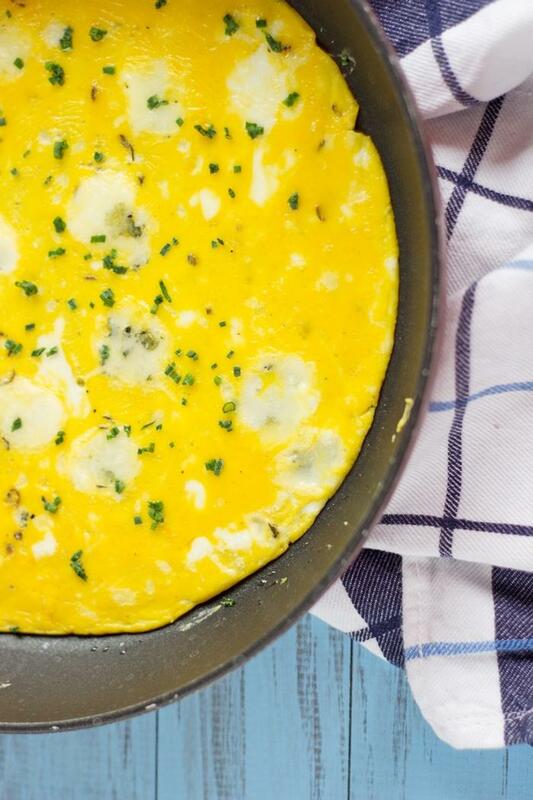 What I like about omelets is that you can almost add any ingredients you want. Making it the perfect recipe for left over. 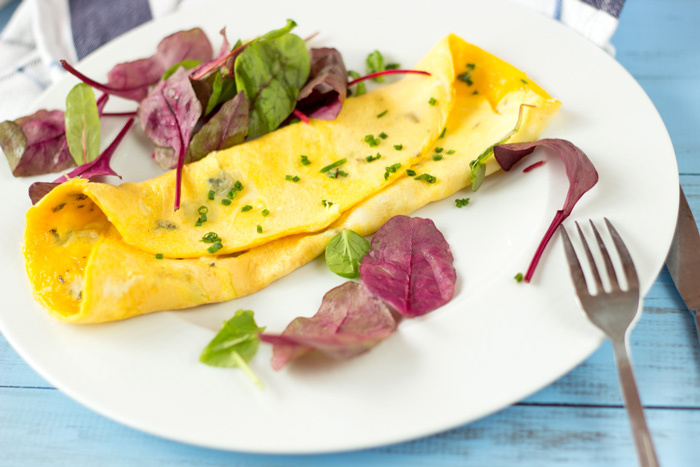 If you like this recipe, you should consider having a look at this other omelet recipe. Quite good as well. Great associated with a green salad! Add roquefort, chives and pepper with eggs. Pour mix in your pan. Leave to cook for 3 to 5 minutes. hmmmmmmm. A perfect breakfast, lunch, or dinner! I made this recipe for a project in my French II class. The omelette was very satisfying and delicious. I am glad you liked it. Roquefort is always a risky choice when you are not accustomed !